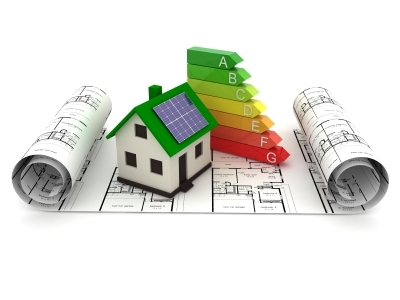 “Energy conservation” along with “Energy efficiency” forms a very effective combination. Energy conservation and energy efficiency are much more than merely turning off heat in winter and switching off air conditioner in summer. Here are some of the effective strategies aimed at conserving power at residences and cut down on the monthly electricity bill. 1) Using a programmable digital thermostat. A digital programmable thermostat is more precise than the earlier versions of thermostats. It can be set to different temperatures in a day and once programmed; temperatures will automatically get adjusted according to the settings. In a few models of digital thermostats, you can program for two temperature settings, one for the working week when the members of the family are away from home and another for the weekend. It is better to buy a more comprehensive model that facilitates setting different temperatures for each day of the week. The Department of Energy recommends a temperature setting of 68 degrees for residences during winter and 72 degrees in summer. However, setting the temperature at 68 degrees, while everyone is either at work or school during the day, is not necessary. When no one is at home, there is no point turning on the air conditioner whilst wasting electricity. On the other hand, you can program the temperature for 55 degrees while the family is away from home with a provision to automatically adjust it back to 68 degrees a little before everyone gets back home. It is advisable to opt for a programmable thermostat for the home that is well-suited to both heating and cooling systems. Many local home improvement stores sell a range of brands of digital programmable thermostats. 2) Install a timer for your home hot water heater. A normal electric heater keeps plenty of water heated throughout the day even if no one in the family needs it, thereby resulting in huge electricity bills. You can save a lot of money by installing a timer on the electric water heater. It is a compact gadget that allows choosing particular off and on times to run the water heater. There can be any number of options. You can set the water heater in such a way that hot water is available early in the morning for shower, late in the afternoon for laundry work or evening for using dishwater. You should switch on the timer one hour before using the hot water heater. If hot water heater with a timer devise is used and water is heated only when it is required there will be a drastic reduction in power bills. Local home improvement stores usually sell different models of electric water heater timers. The Little Gray Box is among the most popular electric water heater timer available. 3) Have a maintenance schedule for all home appliances. All electrical appliances in the home require regular maintenance in order that they operate at an optimum efficiency. Filters on heating and air conditioning systems should be thoroughly cleaned frequently and they should be changed whenever necessary. The manufacturer’s instruction booklet provides all the information required for specific maintenance procedures. A diary should be maintained indicating the dates on which the previous maintenance was carried out and when it is due again. It is also necessary to vacuum clean refrigerator’s coils periodically. The efficiency of the refrigerator goes down and considerably increase costs of cooling, if dust gets accumulated on the coils. By clearing the heavy accumulation of dust using a vacuum cleaner and softly wiping the remaining dust with the help of a brush will make the coils clean. You should undertake these routine maintenance tasks once in every three months that will enhance considerably the refrigerator’s operating efficiency, thereby facilitating reduction in monthly utility bills. However, cleaning of coils in appliances once a month is necessary if there are pets in the home. The three strategies such as installing digital programming thermostat, fixing a timer on electric water heater and periodical maintenance of electric appliances helps in conserving substantial units of energy and contributes to huge savings in monthly power bills.